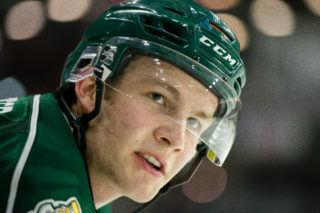 EVERETT, Wash. – The Everett Silvertips (@WHLSilvertips), defending Western Conference and six-time U.S. Division champion of the Western Hockey League, will host the Medicine Hat Tigers at 7:35 p.m. on Friday in an inter-conference showdown and the Portland Winterhawks, a battle between 1st and 2nd place in the U.S. Division, on Saturday at 7:05 p.m. at downtown Everett’s Angel of the Winds Arena. 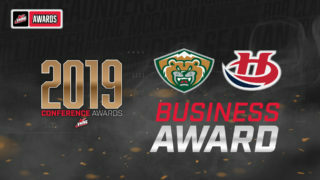 Tickets are available at www.everettsilvertips.com/tickets. 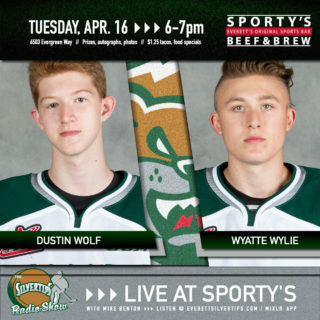 On Friday: the Silvertips open their doors 90 minutes before face-off for Hockey Happy Hour, presented by BroadStroke Associates. Ticket specials offer a free beverage for as low as $24, which includes a complimentary choice of draft beer, house wine, fountain drink, or bottled water. Judd & Black Super Fridays return, offering a lucky fan in attendance to receive a free electronic prize package built by Judd & Black. Against the Medicine Hat Tigers at 7:35 p.m., the match-up is only meeting between the two teams this season and the first in downtown Everett since Dec. 2, 2016. 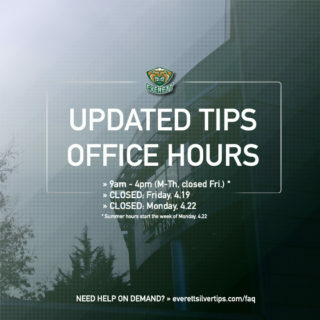 The Tips, ranked #7 in the CHL Top 10, lead the Western Conference and face the Tigers who are four points out of first place in the Central Division. 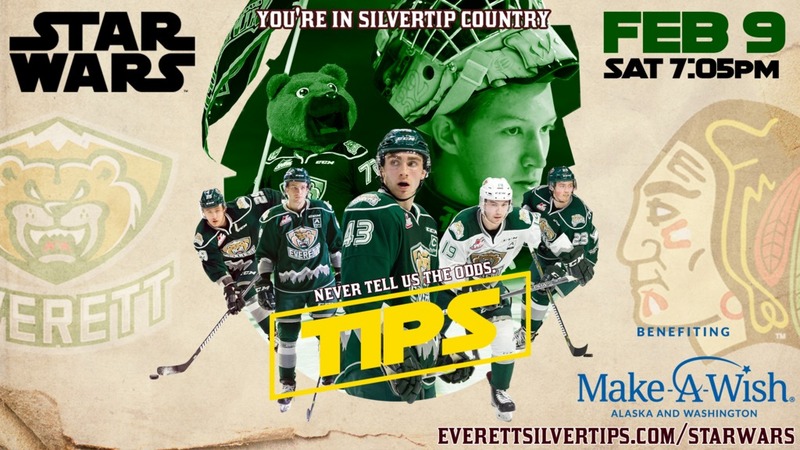 On Saturday, the Silvertips face the Portland Winterhawks, a battle between first and second place in the U.S. Division, for Star Wars Night benefiting Make-A-Wish Alaska and Washington. 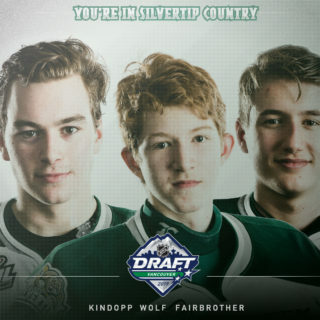 A portion of ticket sales (via link below) will benefit Make-A-Wish Alaska and Washingtion and the first 3,000 fans at the doors will receive a limited edition Silvertips Star Wars poster courtesy Pacific Copy & Print.